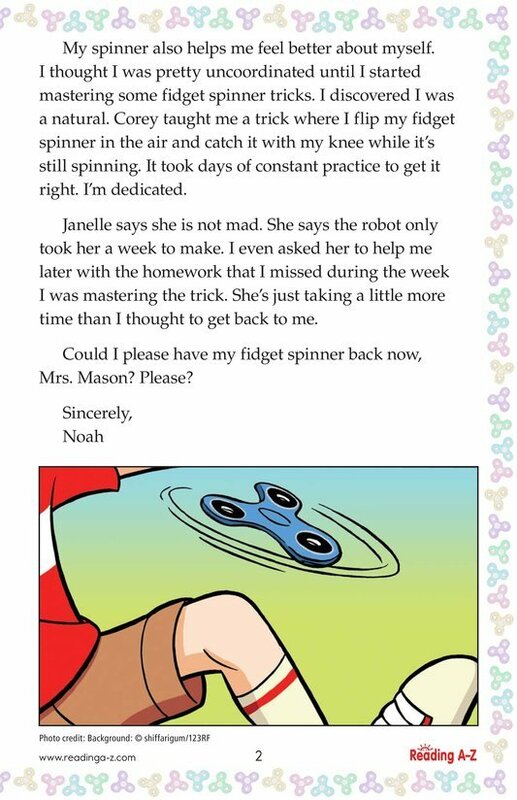 A student writes a letter to his teacher requesting to get his fidget spinner back after an unfortunate mishap. He gives many reasons for the importance of the fidget spinner in his life. Some of the reasons, however, may be questionable.